There is something about this inspiration we simply love about. We got the goosebumps for this one! Totally indescribable. We love the elegance and movement in this photo by Elizabeth Messina, in addtion to the bluish slate gray color. So vintage yet classy. 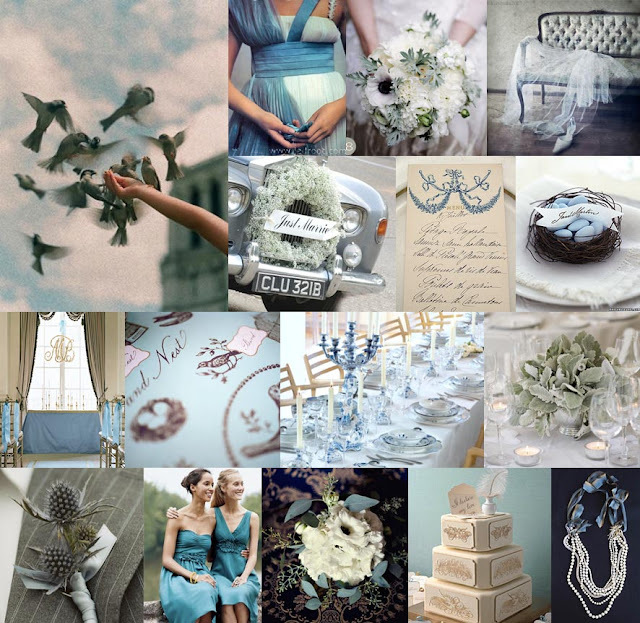 Perfect to be served as the inspiration for today’s wedding board! The palette is muted and cool, and the bird motif lends a whimsical element. .